Successful, highly-trained healthcare professionals of all kinds (M.D.’s, Chiropractors, Acupuncturists, Physio-Therapists, Nurses, Naturopaths, Massage Therapists, Psychologists, etc) have adopted BodyTalk into their practices. Virtually all of them report stronger results: quicker patient response, more complete recoveries in less time, and more long-lasting results. A large number of these practitioners have given up their regular practices to concentrate on using the BodyTalk System exclusively. With the rapidly growing specialty fields of Sports Performance BodyTalk, PlantTalk, AnimalTalk, Family Matrix work and EarthTalk, the range of application for the BodyTalk professional is wide open and exciting! BodyTalk Access is designed for the lay person in order to spread the benefits of the BodyTalk System more widely. 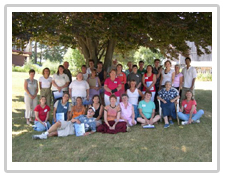 The BodyTalk Access techniques can be learned in a one-day training. 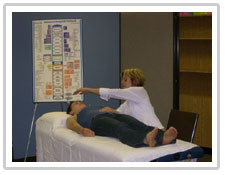 These simplified techniques are gleaned from sections taught in a more comprehensive manner along with the full protocols and procedures in Modules 1 & 2. Although the fine-tuning and the focus of a full BodyTalk session requires at least the complete Modules 1 & 2, those who complete the one-day Access training will be able to positively impact the health balance of friends, family and others immediately after completion of the course. 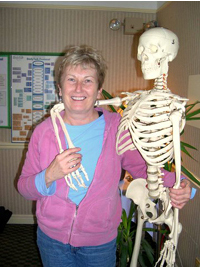 Certified BodyTalk Instructors are healthcare professionals that have been certified by the IBA (International BodyTalk Association) to teach BodyTalk or other related courses. This certification signifies that these persons have reached the highest level of qualification as BodyTalk instructors, have gained extensive knowledge and experience through the practice of BodyTalk and have met the IBA’s stringent quality standards. To determine if an instructor would be available to present a training seminar in your area, please contact info@bodytalkcentral.com or call toll free 1-877-884-1767.